My name is Jessica I have been married for 15 years and I have 4 boys ages 11, 9, 7, and 3. I love Jesus am actively involved in my local church and community. I love to budget, save money, and all things mommy. I created this blog to encourage others by sharing my life stories and experiences. I hope that you find some of these posts amusing, inspiring and helpful. 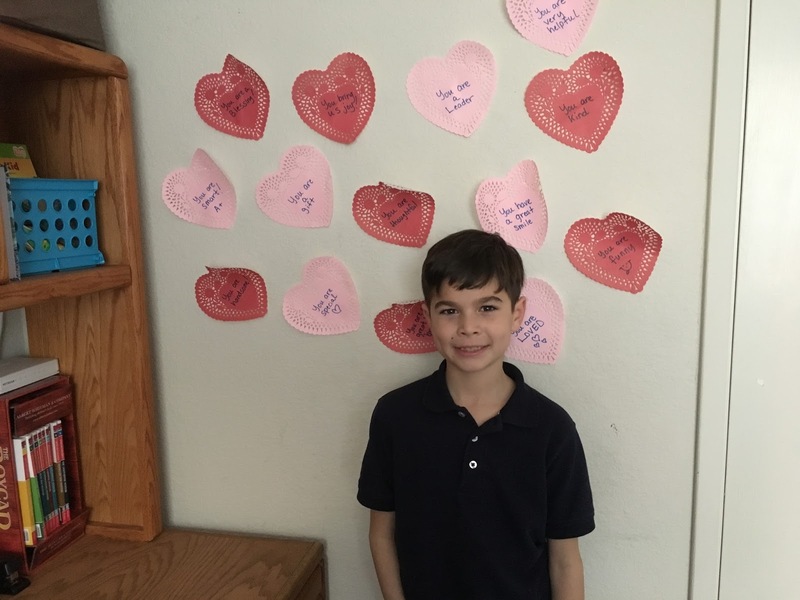 I love to take the current holiday or season and celebrate with my family, even the simple ones like Valentines, or those fun National Day’s. In life, we can get so busy with work, homework, and activities that we don’t take time to pause and just appreciate the little things. Sometimes we can even get wrapped up in the work-around celebrating the holiday that we don’t truly appreciate it. 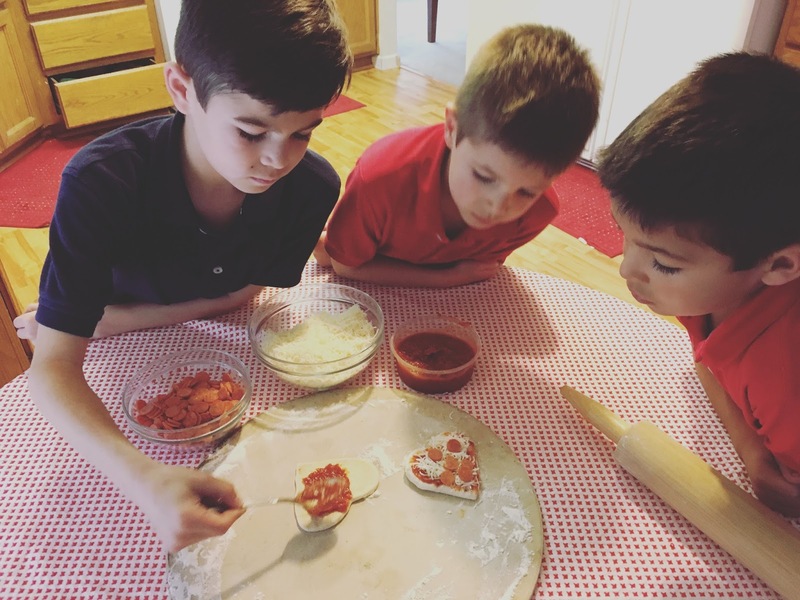 I know as a mom of four boys, with school Valentine’s parties and church Valentines class parties, sometimes it can seem like more work more than celebrating. 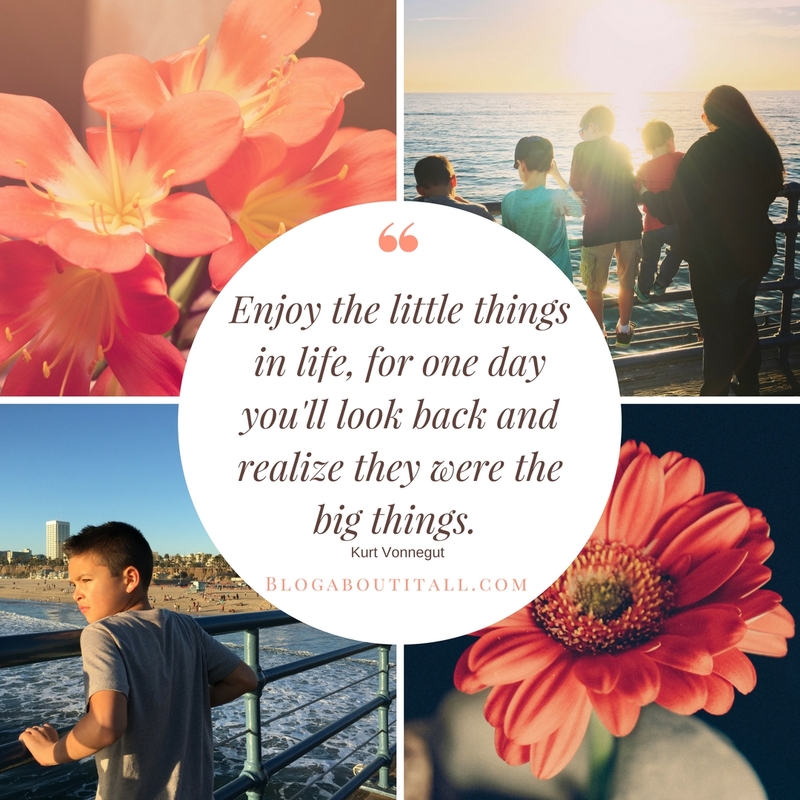 The thing that helps me be mindful and in the moment rather than focus on making the snacks for class parties and getting the items needed is to take the entire week or even a couple of weeks and do “little” things with my family each day or a few days throughout the week. Some of our favorite things for Valentines that we do is heart-shaped pizzas. 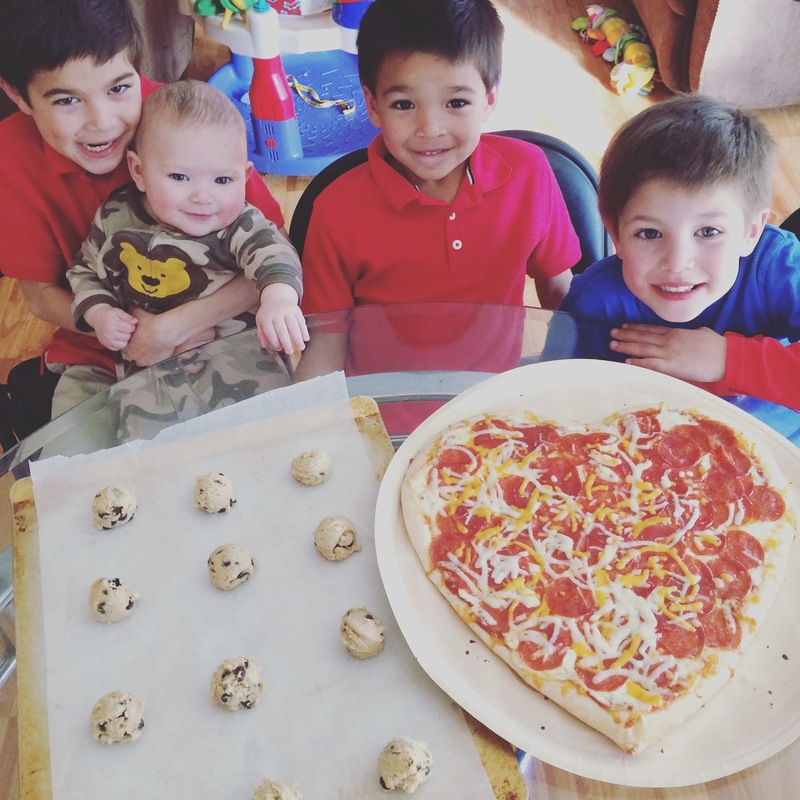 We have made homemade heart-shaped pizzas which is a lot of fun, but we have also picked up a Papa Murphy’s heart-shaped pizza, so depending on the time you have, do what works for you. 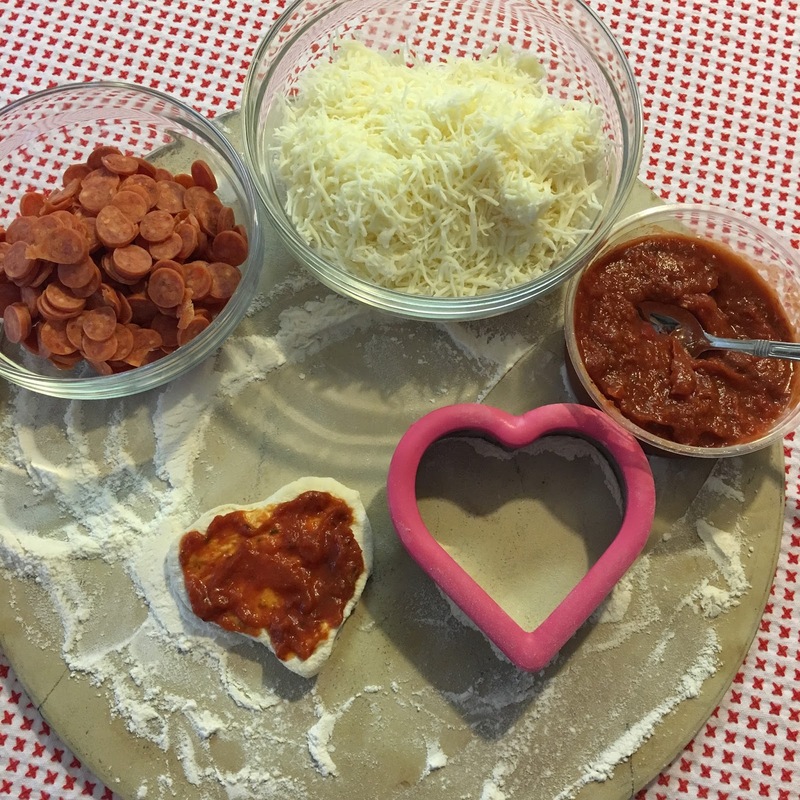 Remember it doesn’t have to be on the actual Valentines Day, pick a day that you will be home with your family and have a heart-shaped pizza night. 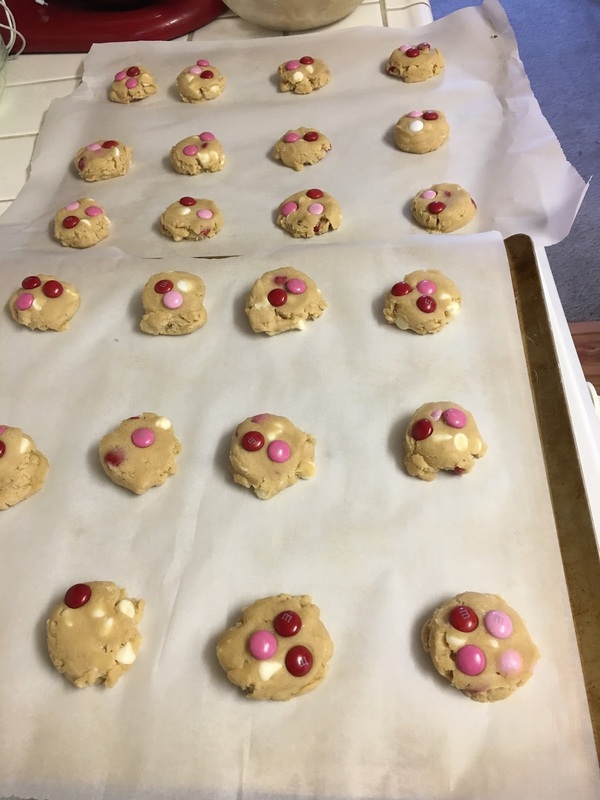 We have made heart shaped quesadillas, cookies and pancakes, these are small special touches that add to the fun and a way I get to express my love for my little ones. We have made Valentines Popcorn, adding in red and pink candies in our popcorn for a movie night. My boys love this and it’s so simple to do. I have sent heart-shaped notes in their lunch boxes leading up to Valentines. I’m sure you’ve seen on Pinterest the heart-shaped notes of things you love about your kids on their door. I used heart-shaped dollies from the Dollar Store, so I didn’t even have to cut out or print anything out and then I wrote things on them. I encourage you to utilize Valentines Day and other holidays to create memories with your family. Embrace them at whatever level you’re at. Maybe you’re not into painting or maybe you don’t own a Cricut, I don’t, but what do you have? What can you do? 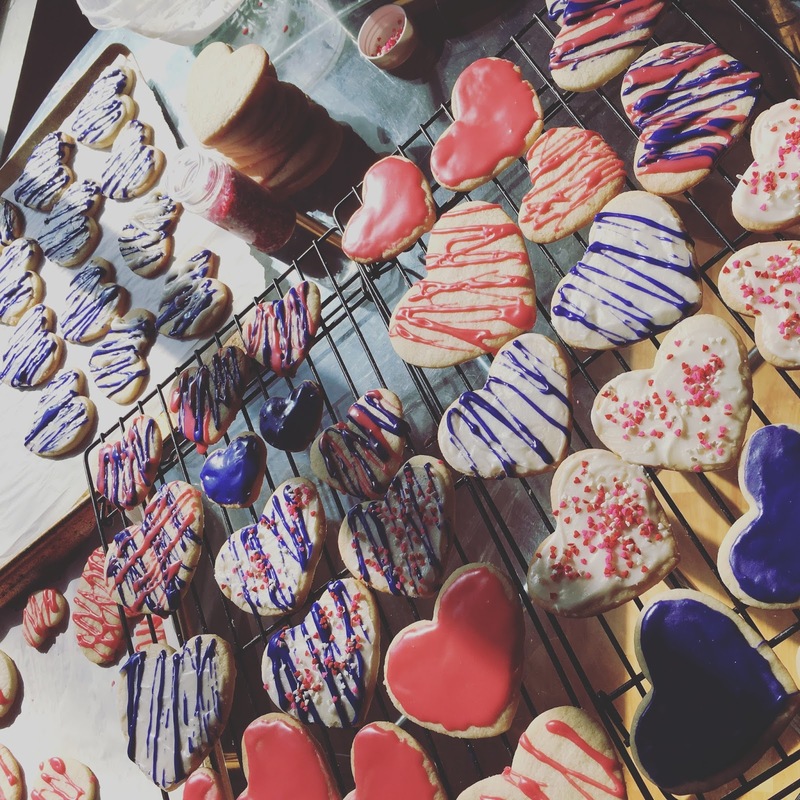 Can you bake or cook something around the special day? Can you color a picture together? I promise once you start and you see the joy in your little one’s eyes over something so simple, you will want to do more next time. It really is about the quality time together. It’s about getting out of the normal everyday routine of dishes, laundry, homework and life and doing something fun together. With Pinterest around it makes it so much easier for us. 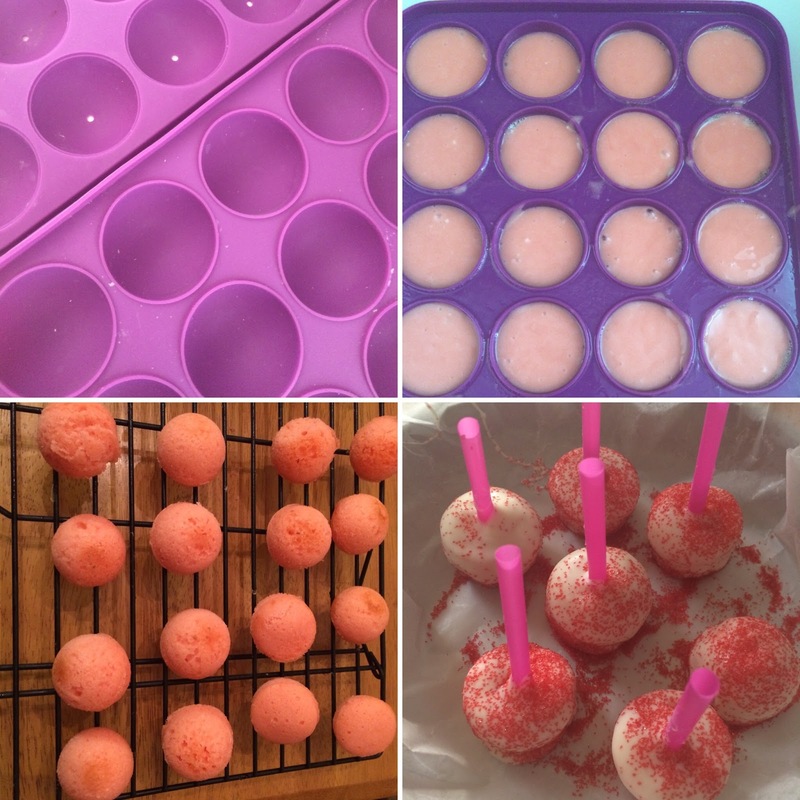 There are a ton of ideas out there to help you create, cook, bake, paint, craft with your kids. Another great tip is to use the Dollar Store or 99 Cent Store, they usually have a ton of inexpensive things around the current holiday or event. It does not have to cost you a lot of money to celebrate and create memories. Start where you’re at. Keep this in mind for yourself and for your little ones. If you pick out a craft that is not age appropriate you might end up doing the craft alone. Save/Pin those other ideas for when they are older or when you have more time to plan and prepare. Have fun! 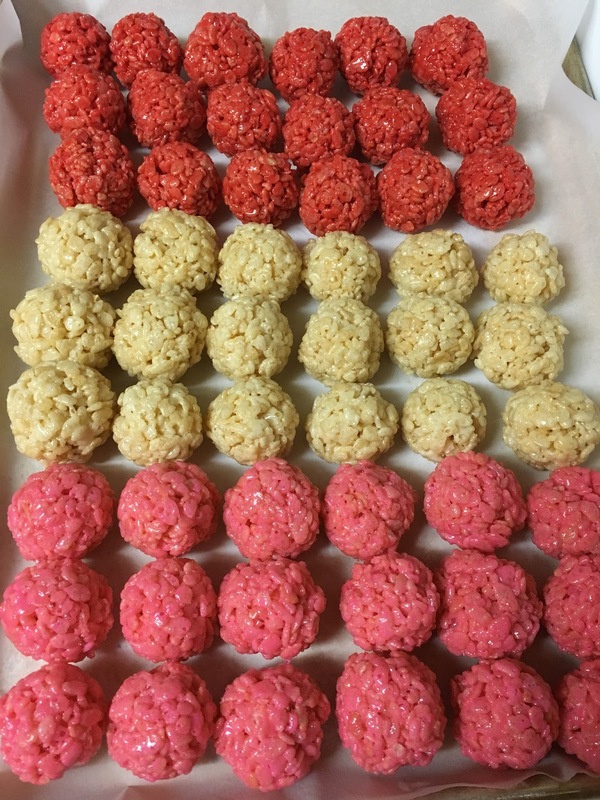 Even if it doesn’t turn out as you planned, or how it looked on Pinterest. It is about the time spent together. It does not have to cost a lot of money. Look around your house you may already have everything you need. Improvise on some items, visit the Dollar Stor or local Thrift Store. Go Outside! Use rocks, leaves, and things in your own backyard, my kids have loved when we have painted rocks. Created our own Tic Tac Toe using rocks and a tree stump. Visit parks or local museums to help celebrate and learn more about certain holidays or events. Plan for next year! The best time to purchase holiday or event centered decorations or a craft item is AFTER the holiday. Purchase it when it’s on sale and then put it in a “labeled” box so you don’t lose it or forget about it because it’s buried in the back of your closet, I’ve done that plenty of times. Take Pictures. Don’t just take pictures of the finished product, but take pictures of your kids while they are creating and get in the picture with them (I take pictures but am not in many, this is something I need to get better at).